The Los Angeles Dodgers will open the World Series on the road against the Boston Red Sox on Tuesday, October 23, 2018 at Fenway Park in Boston. The 114th World Series pits the 108-win American League champions against the 92-win National League champions in a classic matchup. 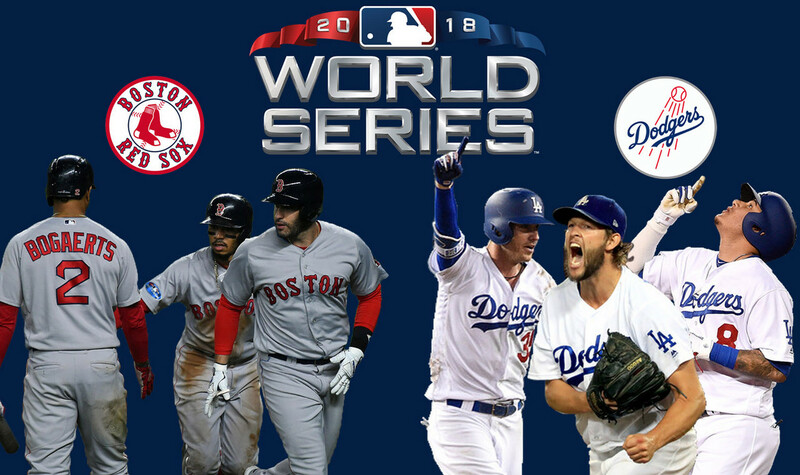 The 2018 World Series gets underway on Tuesday as the National League champion Los Angeles Dodgers face off with the American League champion Boston Red Sox. The matchup pits two classic old franchises with two of the most iconic ballparks. The balanced offense of the Red Sox goes against the resilient Dodgers. All games will be televised by FOX. Play-by-play duties will be handled by Joe Buck with Hall of Famer John Smoltz handling the analyst duties. Tom Verducci and Ken Rosenthal will be the on-field reporters. Pregame and postgame coverage will be led by Kevin Burkhardt with Alex Rodriguez, David Ortiz, Frank Thomas and Dontrelle Willis joining him. 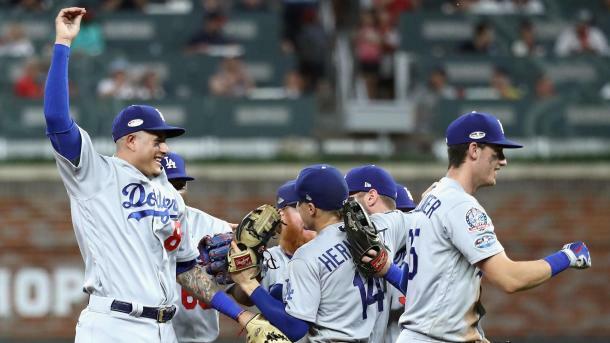 Los Angeles won 91 games during the regular season, but needed a win over the Colorado Rockies in the NL West tiebreaker game to claim their sixth straight division title. They easily defeated the Atlanta Braves in the first two games of the NLDS before losing Game 3 on a late Ronald Acuna grand slam before winning Game 4 by a 6-2 score. 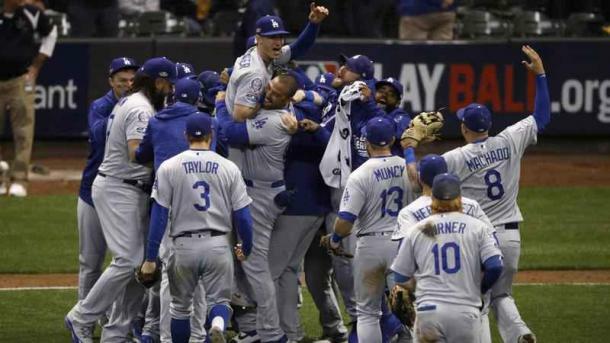 The National League Championship Series was a seven-game battle with the 97-win Milwaukee Brewers, with the Dodgers losing two of the first three games before winning Game 4 2-1 in 13 innings and blowing Milwaukee out in Game 5. The Brewers won Game 6 7-2 before the Dodgers took Game 7 on Saturday by a 5-1 score to reach the World Series for the second straight year and 23rd overall. Boston won a franchise-record 108 games en route to their third American League East title. In the ALDS, they faced off with their bitter rivals, the New York Yankees. After splitting the first two games at Fenway Park, the Red Sox won both games at Yankee Stadium, scoring 20 runs in the two games in the Bronx. 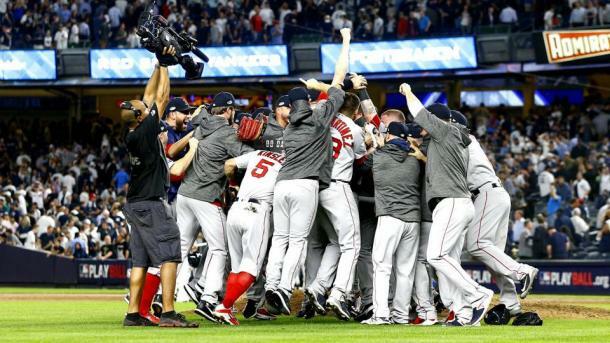 In the American League Championship Series against the defending World Series champion Houston Astros, once again the first two games were split. 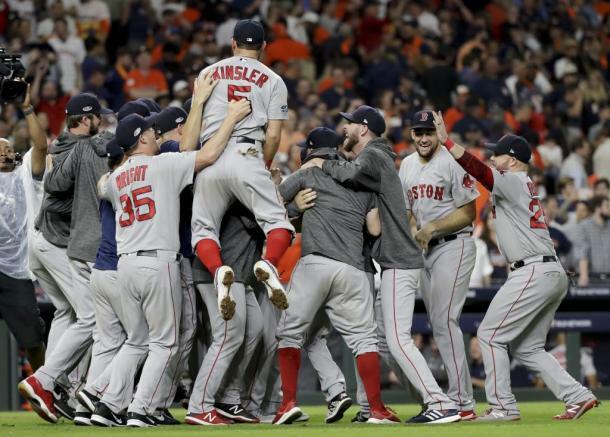 As in the last round, Boston won all (in this case) three games at Minute Maid Park with David Price throwing six shutout innings in Game 5 to help clinch the franchise's 13th World Series appearance. 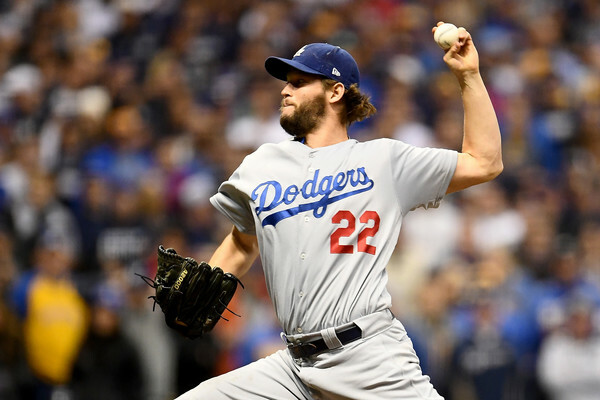 Once again the Los Angeles rotation is anchored by Clayton Kershaw. The lefty just 9-5 with a 2.73 ERA after making just 26 starts, but he's excelled in two of his three playoff starts, dominating Atlanta in Game 1 of the NLDS and Milwaukee in Game 5 of the NLCS as well as closing out the Brewers in Game 7 out of the bullpen. Hyun-Jin Ryu has been shaky in his three outings, posting a 4.40 ERA while rookie sensation ​Walker Buehler overcame two bad starts to pitch 4 2/3 innings of seven strikeout, one-run ball in Game 7 in Milwaukee. Rich Hill rounds out the rotation, sporting a 2.61 ERA in two starts and one relief appearance. 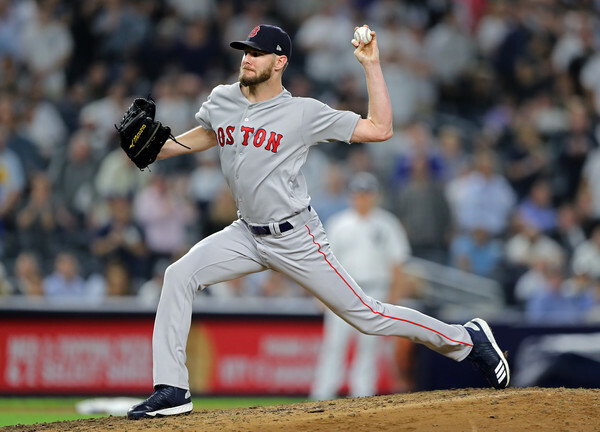 Boston's staff is led by Chris Sale, who went 12-4 with a 2.11 ERA during the regular season, missing time towards the end of the regular season. He beat the Yankees in Game 1 of the ALDS and pitched a scoreless eighth inning of Game 4 before taking a no-decision in Game 1 of the ALCS. Price dominated the Astros in Game 5, striking out nine over six innings while only allowing three hits in the aforementioned six innings. Rick Porcello has made two starts and two relief appearances this postseason, registering a pair of holds, one in each series. Nathan Eovaldi, ​a midseason pickup, has been brilliant in three starts, allowing just three runs in 14 2/3 innings. The only edge the Dodgers may have in this series is their bullpen. 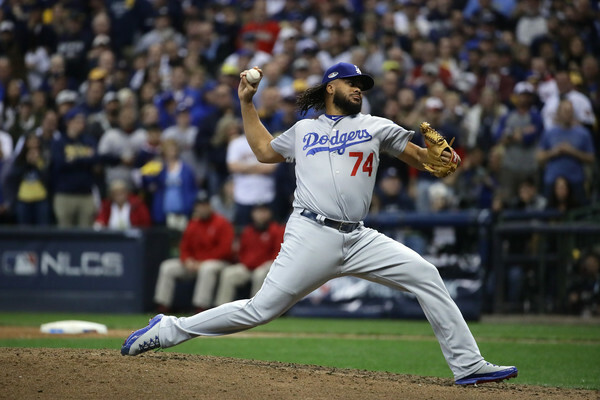 Closer Kenley Jansen has been unscored upon in 6 2/3 innings, Dylan Floro has been unhittable in his six appearances while setup man Pedro Baez ​has surrendered just two hits in his half dozen outings. Alex Wood and Kenta Maeda have a 4.15 and 4.91 ERA respectively, but each has the experience of pitching deep into October last year. Boston's relievers have been up-and-down. 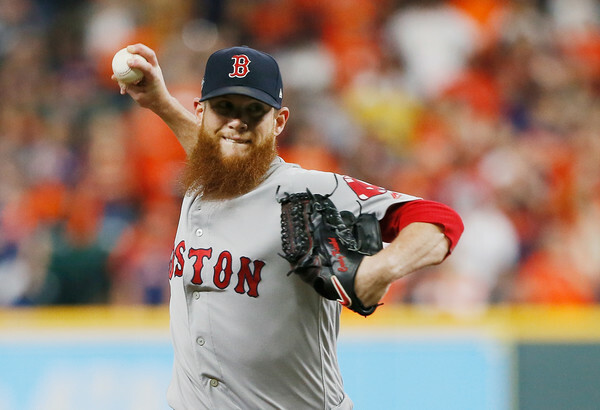 Closer Craig Kimbrel has five saves, but a 7.11 ERA, Ryan Brasier has not allowed a run in seven appearances, but has allowed eight baserunners, Matt Barnes posts a solid 1.42 ERA, but has as many walks (five) to strikeouts (five). The late innings in certain games have been handled by Sale, Porcello and Eovaldi, each proving to be more effective than their bullpen mates. 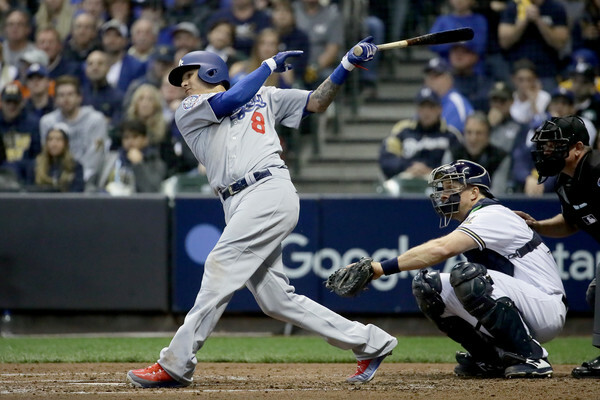 Shortstop Manny Machado was Los Angeles' big midseason acquisiton and he leads the Dodgers in home runs (three) and runs batted in (nine) during the playoffs. Chris Taylor is hitting a team-leading .360, Yasiel Puig .333, including the three-run home run in Game 7 against Milwaukee. Cody Bellinger is batting a paltry .139, but his single in the bottom of the 13th inning won Game 4 against the Brewers to even the NLCS. Justin Turner also won a Game in the NLCS, blasting a two-run homer in Game 2 while postseason veteran David Freese has contributed a .300 average with five RBI's in 10 at-bats. Boston led the majors in almost every offensive category and they haven't stopped in the postseason, scoring 56 runs in eight games. MVP candidate J.D. Martinez is hitting .313 with nine RBI's and seven walks, Jackie Bradley Jr. was the ALCS MVP after driving in nine, all with two outs. 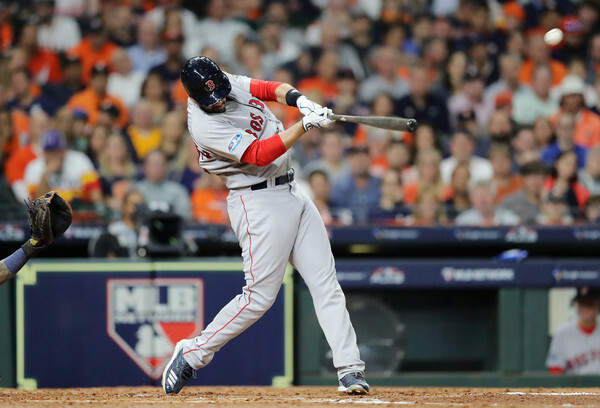 Others such as Brock Holt, owner of the first cycle in postseason history in Game 3 of the ALDS, Rafael Devers (.350, seven RBI), Steve Pearce (.269, seven runs scored), Christian Vazquez (game-winning home run in Game 4 of the ALDS) and Xander Bogaerts (.278) have chipped in to keep the Red Sox offense hot despite Mookie Betts hitting just .205. 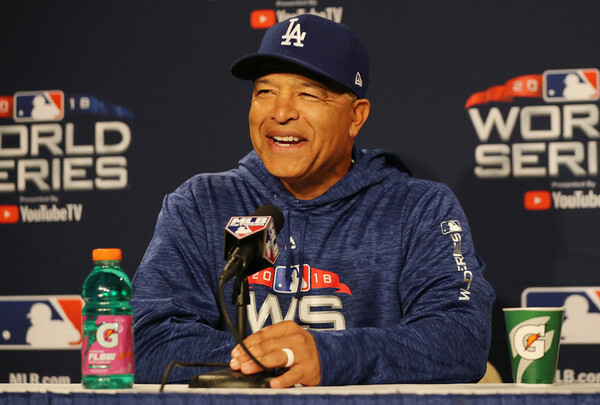 Dave Roberts has proven his worth as Los Angeles' manager, guiding the Dodgers through a season that saw them in last place in the NL West at one point, Buehler struggling in the postseason after an electric regular season and overcoming the Brewers in the NLCS. The 46-year old will no doubt be greeted with a warm ovation when he's introduced at Fenway after his memorable stolen base in Game 4 of the 2004 ALCS against the Yankees started Boston's historic comeback. With a record of 287-201 in his time in Hollywood, Roberts can cement his legacy with the club if he is to guide them to their first championship since 1988. 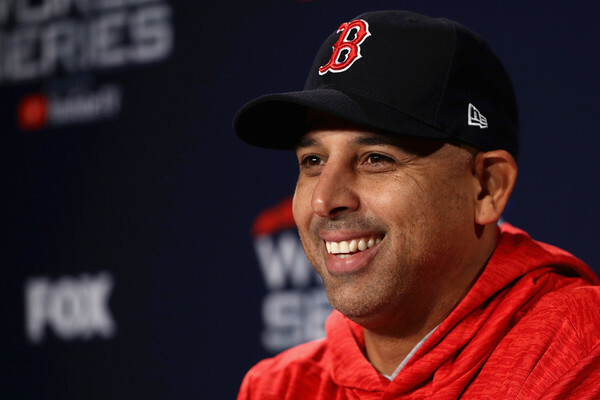 Alex Cora is in his first season in Boston and all he did was guide the Red Sox to a franchise record 108 wins and their third straight division title and first World Series appearance since 2013. A blend of new-school analytics and old-school principles, the 43-year old has pushed all the right buttons, from using starters in relief late in games, inserting Holt into the starting lineup in Game 3 against the Yankees and replacing the struggling Sandy Leon with Vazquez. Cora is attempting to win a second straight world title after serving as bench coach to A.J. Hinch with the Astros last year. As an aside, he played for three years with Los Angeles.